For many, the idea of Argentine beef conjures up bucolic scenes of plump cattle grazing insouciantly in the open Pampas. But the reality of the industry is very different. Over 70% of the country’s cattle are reared in feedlots - enclosed plots use for intensive animal farming - according to the Argentine Feedlot Chamber, a number that is only likely to rise. A growing demand for beef from countries like China has more Argentine farmers switching to intensive production in tiny lots in order to maximise profits, a process known as “precision cattle raising”. Ricardo Buryaile, Argentina’s minister of agriculture, recently expressed his country’s desire to become a world-leading agricultural exporter, and identified China as a principal destination for a range of products including fruit, milk and meat. Yet Argentine beef exports to China came under scrutiny recently after a shipment was found by China’s inspection and quarantine services (CIQ) to contain the banned antibiotic chloramphenicol. Chinese authorities immediately stopped unloading the 11,000 tonne shipment, which will have most likely been destroyed. 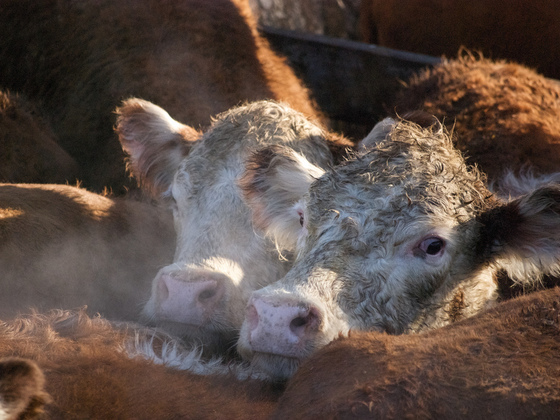 Argentina’s National Health and Food Quality Service (SENASA) took samples from the slaughterhouse where the shipment was processed and the ranch where it was reared before releasing a statement saying the incident was a one-off. Tests revealed that the drug had not shown up in more than 40,000 previous samples. The agency insisted meat exports from Argentina to China, worth some US$200 million (1.3 billion yuan) annually, would continue as normal. In 2015, China imported over forty thousand tonnes of Argentine beef, accounting for 36% of Argentina’s total exports. The figure represents a 110% increase on the previous year. But despite SENASA’s best efforts, some analysts fear that the detection of a banned substance could negatively impact meat exports to a country increasingly concerned about food safety. Miguel Lovera of the Centre for Research on Rural Law and Agrarian Reform at the Catholic University of Asunción, Paraguay, has doubts about the ethics of mass production of beef in South America: “It would surprise me if this were an isolated incident,” he told Diálogo Chino. “Most Argentinean beef now is produced in huge feedlots where conditions are grim from a sanitary point of view, and control authorities are very corrupt,” Lovera said, adding that growing Chinese demand for Latin American beef is also associated with considerable environmental impacts. Argentina has a murky history of disease outbreak in its beef industry. 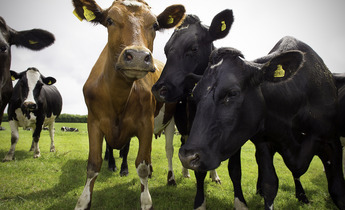 The country restarted exporting beef to China in 2011 after a 2006 outbreak of foot and mouth disease only a year after trade had been restored following a previous outbreak in 2001. 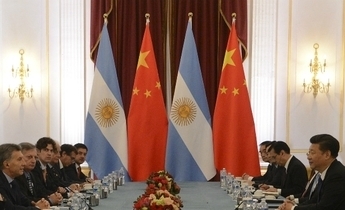 China has now become Argentina’s largest overseas consumer, overtaking Chile and Russia. 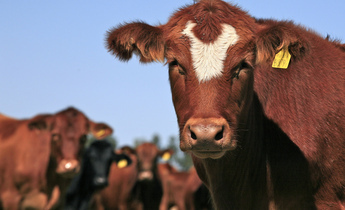 Though the chloramphenicol incident might be the first involving beef from Argentina, similar cases have strained relations with China’s other important trade partners. In 2014, Chinese authorities stopped imports of large quantities of Australian beef due to a high presence of hormone growth promotants (HGPs). Yang Miao, vice-president of Meat International Group, a Chinese export consultancy firm that specialises in beef, told chinadialogue's sister site Diálogo Chino that the furore caused a sudden shortage in supply as it was later discovered that 70% of Australian beef imports failed to meet new Chinese standards. As for penalties, Miao says the government won’t fine the importer so long as products haven’t been sold on. Chloramphenicol is one of the many drugs that rings alarm bells for the China Food and Drug Administration (CFDA). In 2015, meat products such as beef, pork and poultry sampled from different domestic suppliers were discovered to have residues that exceeded permitted levels. 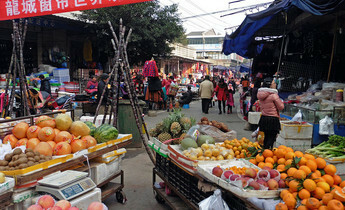 Widespread fears about food safety within China led to the creation of CFDA in 2013 to replace the old State Food and Drug Administration (SFDA). The move elevated the body to the level of ministry in an attempt to restore consumer confidence after several scandals rocked the country. Most notorious was the 2008 tainted milk powder scandal which led to the deaths of at least four babies and left thousands more ill; and in 2013 the discovery of an illicit meat ring selling fox and rat meat as mutton. According to Wang Jing, food and agriculture officer of Greenpeace China, the ministry is still coming to terms with its newfound status and is largely handled by the same departments as before. Chloramphenicol was first obtained from a Venezuelan soil fungus in 1947 and was commonly used to treat bacterial infections such as typhoid fever and conjunctivitis. It was the first antibiotic to be manufactured synthetically on a large scale, but was later linked to serious adverse health effects, such as the rare blood disorder aplastic anaemia and grey baby syndrome – which can make newborns sick and lethargic. Use of chloramphenicol is highly restricted in both humans and animals, though it can still be found in drops for eye and ear infections in animals as well as other veterinary medicines. Due of the serious side effects in humans, various health agencies worldwide banned its usage in animals reared for human consumption in the 1980s, with SENASA following suit in 1995. Both SENASA and the Chinese authorities have agreed this was an exceptional case. Argentine meat exports to China have so far not been affected and will not be subject to especially intense safety checks. Meanwhile, the cattle ranch responsible for supplying the tainted beef has had its output temporarily suspended while the Chinese authorities analyse a report by Jorge Dillon, president of SENASA. The European Union recently decided to lift a restriction on Argentine animal products that has been in place since 2003. Argentina has only exported frozen and deboned beef to China, since deboning separates meat from bone marrow, where foot and mouth disease can be found. Freezing also helps exterminate some bacteria and extend shelf-life. SENASA did not respond to Diálogo Chino’s request for comment. This report appeared originally in Diálogo Chino and can be found here.